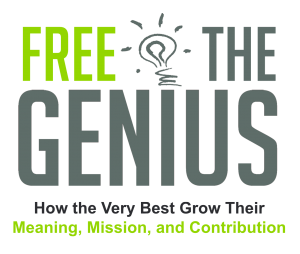 Additional help for you to understand and apply the ideas in David Martin's Free the Genius book. Why the happiest and most successful people spend most of their time going nowhere. Are you soaring to your dreams? Or, are you chasing someone else’s? It all depends on what FFUELs you. Three things you need to know about your past in order to launch your big next. How changing your “walk” can change your inner talk. David shares how he’s used failure to free his genius. Find yourself in his stories and apply the learning for yourself. Are you a product of your bad habits or of effective practices? No, Frank. You don’t need a shrink. Having a noisy mind is normal.